The last two decades have witnessed terrorism, militancy and newer forms of technologically-related violence involving non-state actors in many parts of the world. Obviously, this has heightened insecurity and threatened global peace we all seek. Emerging threats have indicated an increasing shift by malicious persons to use CBRNe materials and cyber technologies to cause mass destruction. The situation is also exacerbated by the challenge of State actors’ safe disposal of huge quantities of industrial hazardous waste. There is a dire need for countries to synergize efforts at preventing the increasing potential use of CBRNe by malicious persons. Perhaps, standardizing of capabilities and capacities among countries could be a way forward to optimize preparedness to, prevention of and response to CBRNe incidents. Indeed, the increasing accessibility of adversaries (including lone wolf operators) to CBRNe capabilities and technology requires an integrated, coordinated, tailored and scalable approach amongst nations to mitigate the threats and risks. Legal and enforcement compatibility: Laws and regulations regarding CBRNe and related Hazmat issues should have commonality of purpose across borders. These need to be backed by adequate globally acceptable enforcement provisions. Capabilities: There is a need to learn and understand the regional and bilateral partners CBRNe capabilities. This would be in terms of assets that they have, what their intergovernmental management system is and at what level coordination and cooperation is needed. Doctrine, Procedures, Tactics and Techniques: To execute adequate CBRNe prevention and response we must study and exchange ideas on Doctrine, Procedures Tactics and Techniques with our regional and global partners. While putting together a multinational prevention and response into effect, it is necessary to understand the differences and compatibilities in operations. Capacities and Equipment: Equipment compatibility and common training practices will greatly assist in executing a coordinated response. We are sharing ideas on material capabilities. Partnership: Practicing interoperability and building enduring relationships with CBRNe partners across military, civilian, first responder, and international communities is essential to understand gaps and loopholes. There have been a number of initiatives and training workshops by international bodies including IAEA, OPCW, WHO and INTERPOL. There have been bilateral trainings and advisory activities by some developed countries with other states. The US DTRA and US DOE have been engaged in many countries for enhancing CBRNe risk mitigation. Under these programs training of administrators, responders and specialist technicians has been carried out based on global best practices giving a common platform to all participants. In addition there is the EU CBRN Centres of Excellence initiative functional in 61 countries. Under this initiative too many projects are undertaken to cover a wide range of CBRNe risk mitigation issues ranging from strengthening legislations and regulations, awareness generation, enhancing capabilities of stakeholder administrators, sharing best practices in prevention, protection, response and recovery aspects, training trainers and response teams and developing capacities and capabilities of partner countries towards CBRNe risk mitigation. Such initiatives and training by international organisations have assisted in establishing globally accepted protocols and measures for CBRNe risk mitigation among various nations. This has led to greater awareness and knowledge and capability enhancement. In some areas, countries have also joined hands in bilateral agreements and information and expertise sharing to develop robust cross border mechanisms to prevent illegal movement of hazardous materials and responding to likely CBRNe incidents. Pursuant to this, they have managed to make their procedures and capabilities compatible and complementary while maintaining best practices. 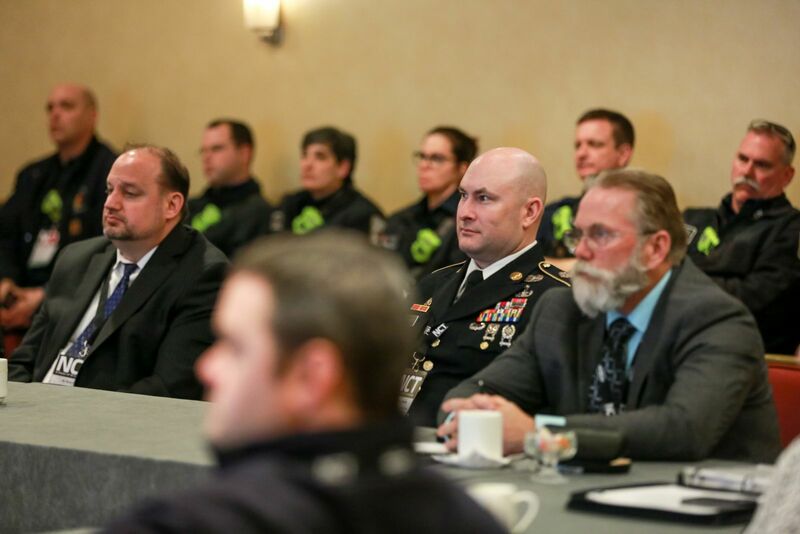 Greater networking among nations have also been achieved through many CBRNe Seminars and Conferences held in various parts of the world. Through such fora sharing of experiences and best practices among participants as well as new technologies, lessons and procedures are learnt. 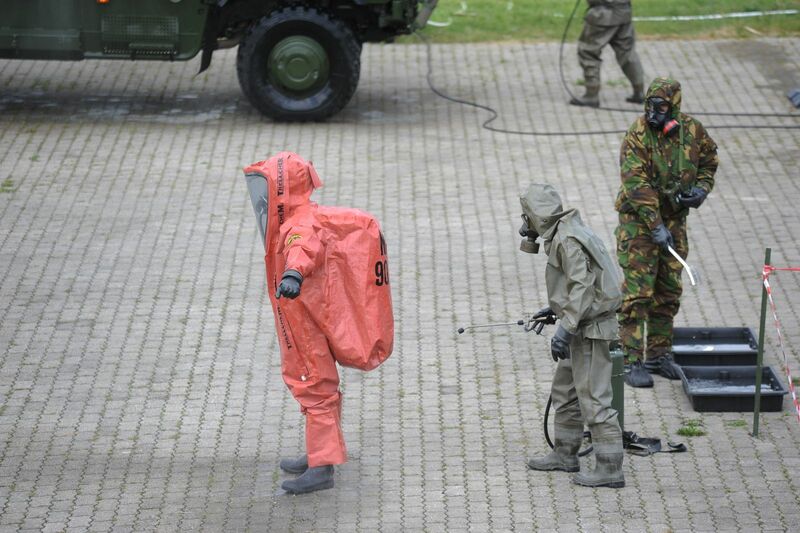 NATO countries have taken the multinational issue a step further by constituting the Multinational CBRN Defence Force. The Multinational CBRN Defence Battalion is a high readiness, multi-national force providing NATO missions and deployed NATO joint forces with a credible Nuclear Biological Chemical (NBC) capability. This is to ensure the Alliance’s freedom of action in an NBC environment. The battalion was created in 2003, following the Prague Summit in November 2002, as a further initiative to enhance the Alliance’s capabilities against weapons of mass destruction (WMD. The main activities of the battalion are NBC reconnaissance, identification of substances and decontamination operations; biological detection and monitoring operations; NBC assessment and advice to NATO commanders. CBRNe threats and risks have no boundaries. It is a global problem which requires an integrated and well-coordinated response plan involving different state agencies operating on a common platform. To achieve this, countries need to understand these threats and risks in the right perspective and pledge to work together for mutual security and safety against such threats. More bilateral, regional or multinational training events focused on global best practices would go a long way in enabling better prevention measures and optimal coordinated response. Countries also need to review their laws, regulations, procedures and assets so that they can be made compatible and complementary to international standards. CBRNe threats are on the rise as seen by the increasing Hazmat accidents and enhanced use of CBRNe material by Non State actors. Multinational initiatives harmonizing legal provisions, training for response and risk mitigation efforts is the call of the day.